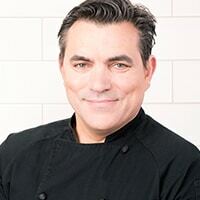 Todd English wants you to wok his way. That means you'll need an appliance with a massive cooking area, stylish exterior and Todd English's Lava nonstick ceramic coating - like this wok right here! Soon you'll be frying up bigger portions - great for entertaining and leftovers - with something that looks sleek, modern and awesome in your kitchen. And that Lava coating makes cleanup a breeze - leaving you with more time to enjoy your culinary accomplishments. View instructions and recipes here. One year limited vendor warranty. Please call 1-312-526-3760. Switch the control knob on the wok to the "OFF" position, unplug the wok and allow to cool completely. Always remove the temperature probe before cleaning. DO NOT immerse temperature probe, cord or wok unit in water or any other liquid. Remove excess food and oil with a clean cloth. Clean the wok and lid with hot water, dishwashing liquid and a non-abrasive sponge. Do not use detergent or abrasives as these may scratch the coating.